Sad news Enzo Calzaghe passing away. Mad as a box of frogs but he sure did create a naturally great athlete. That is very sad. Email built a good stable of top Welsh fighters all around his son Joe. They all stuck with him in that industrial gym of his. RIP. Terrible shame. Does anybody know if he’d been ill? Apparently. He’s not dead, just very ill. It was ‘confirmed’ by lots of good sources but his neice says otherwise. Last edited by Memphis; 09-15-2018 at 06:48 PM. I hope he pulls through . One of my favourite ever corner moments is Enzo going ballistic at Joe during the Hopkins fight - arms flying everywhere, frothing at the mouth - the late Dean Powell has to step in to say - "right then, lets tell him what to do," Enzo takes a massive swig out the water bottle like it's filled with merlot. Yes heard the news on the radio. 69 years of age. Sad day. The trainer helped Joe become a two-weight world champion in an undefeated 46-fight career as a professional. Despite having no experience as a trainer before coaching his son, Enzo also led Gavin Rees and Enzo Maccarinelli to world titles. "The family are devastated to have to announce the death of our beloved Enzo," the Calzaghes said. In 2007, Calzaghe won coach of the year award at the BBC Sport awards as well as Ring Magazine trainer of the year. Enzo Calzaghe, one of boxing's most decorated trainers, has died aged 69. Calzaghe, a self-taught boxing coach who was also a musician, trained his son Joe Calzaghe, helping him to become super-middleweight world champion in an undefeated career as a professional. Despite having no experience as a trainer, Enzo also led Gavin Rees and Enzo Maccarinelli to world titles. In 2007 Calzaghe won coach of the year award at the BBC Sport awards as well as Ring Magazine trainer of the year. 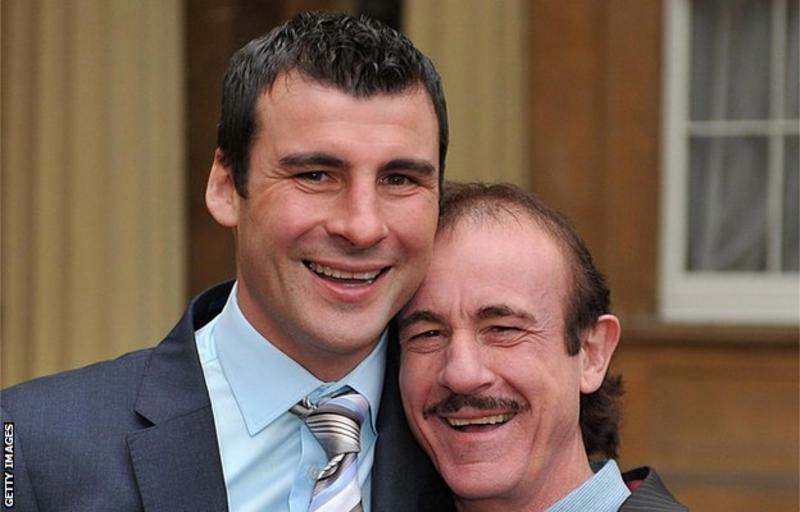 Calzaghe was also awarded an MBE in 2011 and had a bridge named after him and son Joe, in their hometown of Newbridge. Enzo Calzaghe was born and raised in Bancali, a hamlet of Sassari on the Italian island of Sardinia, before his family moved to Bedfordshire after World War Two. When the Calzaghe family returned to Sardinia, Enzo sought his fame and fortune as both a footballer and a musician, playing in his uncle's band before forming his own with brothers Uccio and Sergio. However, a lover of adventure and travel, Enzo packed his bags and set off to backpack around Europe after completing his national service in 1969, a journey that would transform his life. Making money from busking, Enzo went from city to city across Europe, often sleeping rough until he wound up in Bournemouth, working with relatives in a cafe. He pondered heading home to Sardinia, but a chance encounter led to a travel mishap and ultimately a train to Cardiff where he would meet his future wife Jackie, who was working in a burger restaurant. They were married four weeks later. The pair lived in Sardinia and London before returning to Wales, but not before the birth of their first child, a son named Joseph William Calzaghe. Enzo would also father daughters, Sonia and Melissa. The young family settled in south Wales, first in Markham and then Pentwynmawr, where Enzo worked as a bus conductor and a window salesman, while playing in various bands in the area with his brothers. However, when Joe was nine, he was being bullied at school, so Enzo decided to take him to the local gym, the Newbridge Boxing Club, to "toughen him up", a chance encounter that would change the lives of both Enzo and Joe. Even at the tender age of nine, Joe's natural talent and incredible hand speed soon caught the eye of trainer Paul Williams, who invited Enzo to join him as an assistant. When Williams retired, he handed Enzo the keys to the gym and the future of Welsh boxing changed forever. Enzo ran the original Newbridge Boxing Club until it was demolished on safety grounds in 2002, opening a replacement that he described as "a palace compared to a shack," that would eventually become home to a once in a generation stable of fighters in Wales. Calzaghe led his son to one of the greatest careers of the modern era, undefeated from his debut in 1993 right up to his retirement fight with legendary American Roy Jones Jr at Madison Square Garden in November 2008. However, Enzo's success in training other fighters from his modest gym showed he was a star performer in his own right, leading Maccarinelli and Rees to full world title honours, Gary Lockett to a WBU crown and a world title fight, and Bradley Pryce and Nathan Cleverly to Commonwealth titles. It is all too easy to dismiss Calzaghe's training credentials based purely on the supreme talents of his son, but the success of his other fighters finally brought him the plaudits his achievements merited. Other fighters trained by Calzaghe, in particular Rees and Cleverly, clearly exhibited traits he taught his fighters, long after they had left his tutelage and his finest night in the sport was surely Joe's destruction of Jeff Lacy, a fight that only happened because Enzo convinced his injured son that he could "win that fight with one hand". Joe's retirement in 2008 essentially also ended Enzo's career as a top trainer, although his Newbridge boxing gym now stands as a shrine to the glory days he shared with his son. His was no ordinary journey to the top, but there is no disputing Enzo Calzaghe will be remembered as one of Britain's greatest ever trainers and one of British sports enduring characters. I remember that! Enzo needed the water more than Joe. EDIT: I just read he passed away. RIP Enzo. Sad news. They were a great matchup and produced a style of boxing impossible to train against. Enzo Calzaghe is one bitter man!! !